We welcome Lisa Pell to the blog today. An award-winning former newspaper, network television affiliate and radio journalist, Lisa Pell has spent most of her career in the communications business. Born in North Carolina, she was raised in Virginia, is a graduate of George Mason University, and attended Harvard Business School. 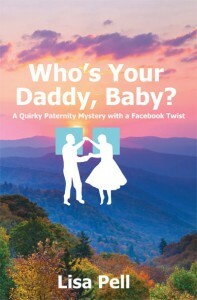 Lisa’s first novel, Who’s Your Daddy, Baby?, is a quirky paternity mystery with a Facebook twist, based on an autobiographical experience. 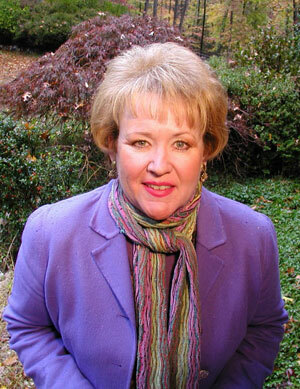 Lisa’s strong roots in the Appalachian mountains of Virginia provide an excellent background for her story. My family has been in the Appalachian mountain region since the late 1600s. For the most part, I lived in southwestern Virginia until I was six, and spent most holidays and summer vacations there as a child. I still visit my sister, Dad, and cousins in the mountains. But I grew up in northern Virginia in the suburbs of Washington, D.C., where I live now. As a journalist in my twenties, I lived in Bristol, Virginia and Tennessee, as well as Huntington, West Virginia. My fascination with writing began in college thirty years ago. I have spent most of my professional career as a writer in journalism, public relations, and project management. I began keeping journals and writing stories in contemplation of possibly writing a work of fiction about ten years ago. Who’s Your Daddy, Baby? is my first novel. Tell us about your latest the book. What do you hope readers take away from it? Who’s Your Daddy, Baby? It’s a quirky paternity mystery with a Facebook twist. Inspired by my personal experience, Who’s Your Daddy, Baby? is the story of Lori Pomay, a happily married career woman living in suburban Washington, D.C. Lori undergoes genetic testing for in vitro fertilization and her world is rocked when she is told the dad she always knew could not possibly have been her biological father. This mid-life shocker sends her into an alternately hilarious, heartwarming, and heartbreaking search for truth about her heritage – from Appalachian Cherokees to a Purple King, with high-rolling gamblers, car dealers, dentists, and all manner of older, confused amnesiacs along for the ride. It’s a mystery that should appeal to those searching for their roots, with DNA testing foibles and myths of history exposed. I hope readers learn about some nuances about relationships, medical and scientific issues, and Appalachian and American history they find interesting and helpful in their lives. More fiction, maybe even a musical or movie script. I began writing stories with a concept for a novel in mind about ten years ago, which I soon realized needed to be a trilogy. The Distortions series is about a woman convicted of a murder she didn’t commit, an amazing Rock ‘n’ Roll performer, and a character with ties to a few Presidents. It’s a parody of Earth far in the future on “Planet Malaprop,” very similar to “Hearth,” and I’ve thought about a fourth installment for Distortions. In addition, I’ve been speaking with several individuals about co-writing some of their stories. I’ve read so many fascinating books over the years it’s hard to name only one, and, of current writers, I look forward to anything written by Pat Conroy, but I will say Moll Flanders by Daniel Defoe made a long-lasting impression on me back in my college days that sparked my interest in writing fiction. My late mother and I used to laugh she could have been one of our ancestors. What a character! To feel like you’ve said what you needed to say the best way you can say it, and have people tell you your work meant something to them, even if it’s only one person. That’s the meat of writing success in my mind. The gravy is if you can make any money from it. My website, www.lisapell.com. I’m also on Facebook, https://www.facebook.com/Lisa.Pell.Author1, Twitter, @lisapell, Pinterest, Tumblr, Google+ and StumbleUpon. In some ways, it’s a medical mystery. Readers will learn more about the fallibility of half-siblingship DNA testing, problems with blood type testing/mutations, the impact of several genetic mutations, and the risks of in vitro fertilization. Also, check out www.whosyourdaddybaby.com for my questions and answers about why I wrote this book and how I think it can be helpful to people. There are some intriguing theories about so called Melungeons, or mixed race people, with the name apparently having been derived from the French word “mélange,” translated as mixture. There are also some entertaining music videos, reading excerpts, and my schedule of events is growing every day! Oh, and, if you’re ever on Facebook, I think you can see my husband, “JonRe Pell,” and I are having fun with Who’s Your Daddy, Baby? Be the first to comment on "Interview: Lisa Pell"